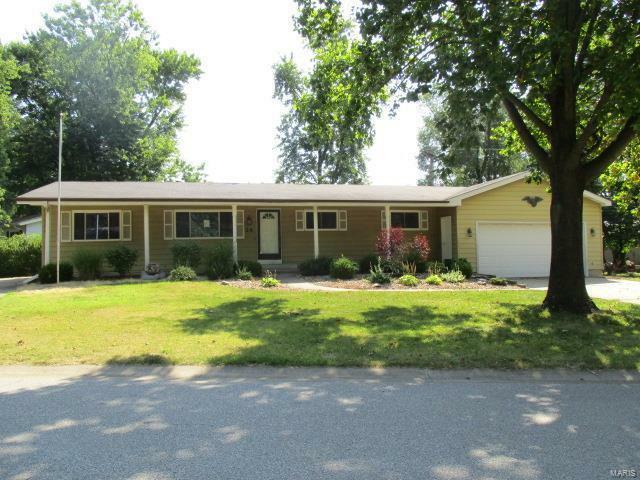 RANCH STYLE HOME FEATURING 3 BEDROOMS AND ONE BATHROOM. COME TAKE A LOOK. THIS IS A GREAT FIND!! HOME SITS ON THE CORNER AND HAS TWO CAR GARAGE AND TWO DRIVEWAYS. MEDIA ROOM OFF THE LIVING ROOM AND PARTIALLY FINISHED BASEMENT. THERE IS A COVERED FRONT PORCH AS WELL AS A REAR PATIO AREA. THIS HOME HAS GREAT CURB APPEAL. YOU'LL LIKE WHAT YOU SEE! Please refer to HUDHomestore for the most recent bidding Period details and information on this property. HUD Acquired Property. Property being sold 'AS IS'. All utilities are turned OFF. Please, use discretion when showing and bring a flashlight. MID RIVERS MALL DRIVE TO WEST ON MEXICO TO NORTH S CHUCH RD TO LEFT ON ST LUKE TO HOUSE ON THE CORNER OF ST. LUKE AND ST. PAUL.